​Our prices listed are starting prices. If they are going to be different you will be quoted prior to your service. Haircutting prices do not include blow dry. 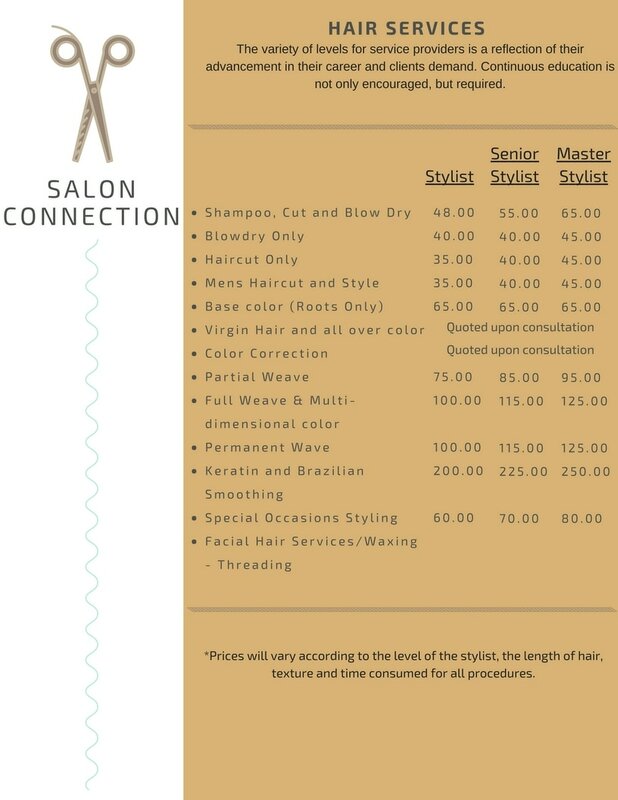 Blow dry prices are adjusted according to the length, thickness, and texture. Chemical services do not include haircut or blow dries.